Ed shares this 323 style mini quick release adapter find. This small version states to be a replica based on the Manfrotto 323 mini quick release adapter (found here), but comes in at less than half the price. This mini black 323 replica made mostly of Aluminum-alloy could be a cheap solution for getting your cameras in and out of cages, jibs, sliders, etc. [Thanks Ed]. The adapter specs state it has a 3/8" threaded hole, but can be stepped down using a 3/8-1/4 reducer bushing . [Update] Here's a review that shows the auction details were improperly listed. http://cheesycam.com/323-style-mini-quick-release-fail/. Might want to to contact the seller if you grabbed a few about this to see how you can resolve the problem. You can find these 323 Replicas following the link (click here). Posted in manfrotto. Tags: camera quick change adapter, manfrotto 323, quick release, quick release adapter on December 7, 2011 by Emm. Now it come with the ball head 484RC2 style. ...from the pictures it looks like it's only a 1/4" hole. If they hadn't put that taper around the hole and left some meat there you could just drill that 1/4" hole out to 5/16" and then tap it with a 3/8-16 tap. Done. Same as the Manfrotto. Just got mine. So what's the consensus with these? How many people have been able to easily salvage their purchase? Another disheartening thing I noticed was that these don't seem to be exact replicas in that they don't fit into my, already owned, 323 QR adapters. I'd love to hear a follow up on this. Anyone contacted the seller regarding their "description"? Just got mine in the mail without threads. Lucky me just order 1. Look like it will fit but can anybody confirm? Just to add to what I just wrote above... if that hole is actually a 3/8 non threaded hole then you'd have to tap it to something even larger and get an approprite threaded reducer bushing to bring back down to 3/8-16 threads. Can't really blame Emm if he was just going by the product description which clearly says "A 3/8"-16 threaded socket with a 1/4"-20 reducer bushing makes it compatible with any tripod head." That line is ripped word for word directly from the product description of the genuine Manfrotto 323 at places like B&H Photo. If that's not so, then the sellers are misrepresenting the product (lying)and it is not a true replica of the Manfrotto product. I would take issue with the seller. Even if you could hammer in a bushing would you trust it with your valuable gear on it? I would tap it out so you would have proper 3/8 threads and, if you need 1/4-20 instead, could put a proper threaded bushing into it like the 3/8" to 1/4" reducer bushing that actually does come with the genuine Manfrotto this is copied from (can get those bushings anywhere... your local camera shop probably has them). I don't know how big the hole is in this replica, but you need a 5/16" hole to tap it for 3/8-16 threads so you might have to drill it out a bit if it's a 1/4" non threaded hole (find a way to measure it so you know... maybe it's already 5/16 in which case you only need to tap it with a 3/8 tap). Doing this will give you exactly what the actual Manfrotto version gives you... a 3/8-16 thread that you can also screw a 3/8 to 1/4 reducer bushing into to give you 1/4-20 threads if you need that instead. Okay, not Totally useless. Camera attachment still works, and I might be able to hammer in a threaded bushing. Still, I appreciate the find! Yup, I ordered 4 and all came without threads. Totally useless. Same here. I ordered three if theses guys and they all came unthreaded! Completely useless. Come one Cheesycam...you guys are pretty spot on with stuff...but this is just a brick with a plate on it. $40 bucks out the window. Meh, changed my mind. If these are a true copy of the Manfrotto I'm seeing mention of them not being able to sit flat under the entire bottom surface because the safety latch extends below the base of the plate... no good for Flycams then and other things I want to flush mount onto. Just ordered a couple of the Manfrotto 394 RC4 off amazon instead. Hey Emm, I actually bought these on ebay. it won't fit my tripod, nor my cowboy studio. So do you think the solution is to get the 3/8-1/4 reducer bushing? If you say yes I'll immediately buy it! Great share, Ed and Emm. Since its a replica, I assume the plates are compatible with the existing Manfrotto 323 quick release adapters or the Calumet equivalent? if it's made of anodised chewing gum .. I'm using Manfrotto 394 quick release system, but I paid for it ~30-40 pounds (50-60usd)! Its much bigger and heavier. Problem, that I need more than one, and this one is great solution. 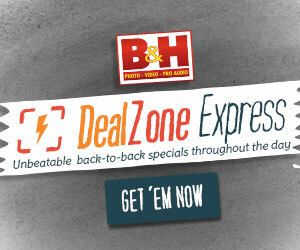 Damn, I just ordered two quick release plates from B&H yesterday for $80. Missed this by one day.